Cooking with fresh herbs add zest and appeal to any dish. From the delicious combination of fresh cilantro in a spicy salsa to a fresh mint leaf to top that favorite dessert, fresh herbs add to the finish product. I always prefer the fresh herbs to the dried ones. They have such a better flavor. I buy them in large quantities so I have them on hand all the time. Since they do not last long in the refrigerator freezing fresh herbs is my option. They are still superior to dried herbs. NOTE: AFTER I PURCHASE FRESH HERBS, I PLACE THEM IN FREEZER BAGS AND THROW IN FREEZER; I HAVE FRESH HERBS WHENEVER NEEDED FOR COOKING. For many top quality restaurants, cooking with fresh herbs means growing them outside their kitchen door. This is also my choice but I have not had the time to keep up with growing fresh herbs. In Ecuador, most restaurants grow their own herbs in the wonderful volcanic soil and year round mild climate. When I order a cup of lemon balm, they step outside to pick the leaves and then simmer me a pot of tea which is heavenly delicious to drink. Now we are in the midst of our garden season, many people have already planted their herb gardens. The summer season joy for these gardeners is in the bountiful harvest which turns ordinary food into gourmet entrées when cooking with fresh herbs. Even if you have not planted your herbs, it can still be done. The nice thing about growing fresh herbs is that they don’t require much space to have an adequate supply for your home cooking. With only a few exceptions, they can be grown close together in overlapping clusters rather than traditional rows. Herbs can be grown as a border around your house, in wooden flower boxes or in pots on your window ledges. Even in the winter months, they will grow on the window sills inside your house. A perfect back yard herb garden would be to raise it a couple feet off the ground. This height would prevent backaches when working and harvesting them. Seed catalogues advise full sun for growing most herbs. I have found it better to have a partial shade area, especially here in Florida. The sun is often too hot for many things. Also the hot sun dries up herbs very quickly so a careful watch for moisture is necessary. 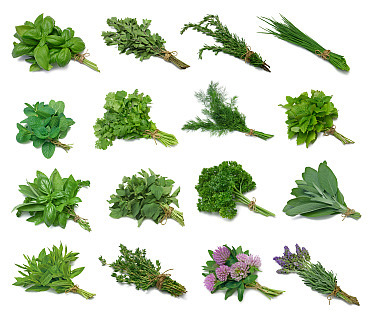 The first steps to growing fresh herbs are deciding where to grow them and which herbs to grow. Once you have selected the area, I would suggest starting with the ones that you use most often when cooking with fresh herbs. For me, I would start with parsley. Parsley is used in many soups, stew, casseroles and as a garnish. It is also used as a breath freshener after consuming onions and garlic. 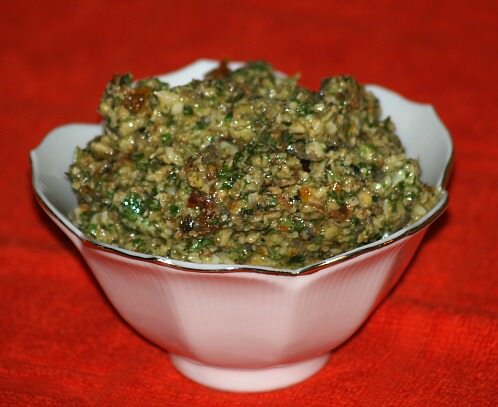 One of my favorite appetizers which use a lot of parsley is tabouli. This is delicious served as an appetizer or salad with warm pita bread. Combine all the ingredients except the grain. Toss to blend and then stir in the grain. Refrigerate until ready to serve. Garlic is on the top of my list when it comes to seasoning foods. I use it almost every day when I cook. Outside of desserts, I use it in some form in almost every dish that I prepare. Nothing compares with fresh garlic. When you use garlic as I do, you will notice a big difference whether you use the clove whole, slice them or minced them; each way has its place. Cilantro would definitely be on my list to grow. As many do, I rely on that special zip from fresh cilantro when cooking with fresh herbs. It is one of the most popular herbs around the world. It is irreplaceable when it comes to cooking Chinese, Indian, Mexican and other Latin American foods. Chives are a very easy herb to grow and thrive in most soils. As with others in the onion family, chives offers much flavor in food when cooking with fresh herbs. Fresh mild chives are great as a topping for soups, salads or on top of baked potatoes. The appearance and fragrance of thyme is enough reason to add thyme to your herb garden. With so many different plants to choose from, you are sure to find one to please you pallet. It is a wonderful addition to stuffing, grains, vegetables, seafood and meats. Another of my favorite herbs is basil. It is one that I am never without and I refuse to use it in a dry form. Italian dishes are not the same without fresh basil. It is also good to flavor vinegar and chopped in salads. 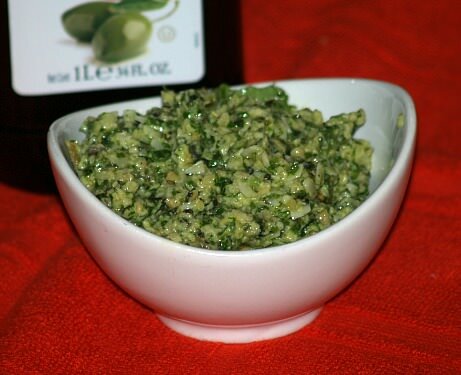 My favorite recipe using fresh basil is a pesto sauce recipe. Chop in a food processor until fine the basil, garlic, pine nut and tomatoes / black olives, if desired. Stir in the lemon juice and olive oil; then the cheese. Season with salt and pepper. This is good stirred into pasta, served with seafood or on warm pita bread. You might want to consider growing some of the other herbs. They make great gifts for family members, friends and neighbors. Excess herbs can be dried and used to flavor bottles of vinegar or oils. These types of products also make greatly appreciated gifts. COMBINE ALL ingredients and whisk until well blended. Combine and mix the cream cheese and herbs in a bowl; add salt and pepper to taste. Heat ¼ of butter in an omelet pan or 8 inch non stick skillet over medium high heat. When butter is hot swirl around the skillet; add 2 beaten eggs to pan and lower heat. When omelet begin to set up, push egg to one side of skillet letting raw egg run over bottom. Spread egg over bottom again and let it set up again; spread cream cheese mix along the middle of the omelet. Fold omelet over when it has finished cooking slide it off onto a warm platter. Finish with remaining omelets; serves 4.